Matt Barwegen has returned to the Midwest after earning a Performer’s Certificate in 2009 from the Lynn Conservatory in Boca Raton, FL, where he studied with pedagogue Ralph Fielding. Mr. Barwegen also has a B.A. in Psychology from Wheaton College, a Professional Studies degree from San Francisco Conservatory and a Masters in Viola Performance from Illinois State University. Between 1997 and 2003, Mr. Barwegen maintained a private teaching studio of viola and violin students in the Chicago area. His students performed in recitals several times a year, with several students qualifying for the Illinois All-State competition. 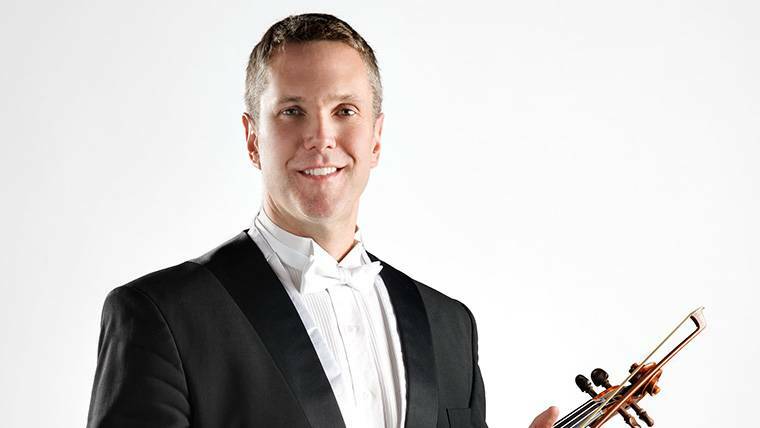 Currently, Mr. Barwegen is a member of Orchestra Iowa, South Bend Symphony, Illinois Philharmonic, and the Sinfonia Da Camera, a renowned chamber orchestra which performs at the Foellinger Hall on the campus of the University of Illinois. He enjoys playing and coaching chamber music, and has studied with distinguished members of the Chicago String Quartet and the Concord String Quartet. Csaba Erdelyi, Kate Hamilton, Ellen Rose, Jodi Levitz, and Rami Salamonow. This is impossible to decide!! I love La Mer, Daphnis and Chloe, Shostokovich 5, Mahler 5, Glass 3, Don Quixote, and Ein Heldenleben. There are several. The Mahler 5 concert was special. Bartok’s Music for Strings, Percussion, and Celeste was great. Anytime I perform a piece for the first time professionally, it is a great experience with Orchestra Iowa. Maestro Hankewich has a gift for bringing the really big, tough literature to the region, and I enjoy the challenges. My brothers and sisters all played an instrument, so I was encouraged. My first string teacher was VERY assertive in her teaching style and this paid off, not only for me, but in several other of her students who went on to play professionally. ALL of my former teachers, including Ralph Fielding, Csaba Erdelyi, Rami Salamonov, Jodi Levitz, and our very own Lisa Ponton!